Once windows and doors are installed, it’s only a matter of time before the glass is compromised. Commonly you see multiple problems including scratches, overspray, dried stucco, plaster, hard water stains and spotting on newly installed windows and doors. This type of damage is a result of insufficient protection, carelessness by jobsite personnel and improper care and maintenance. 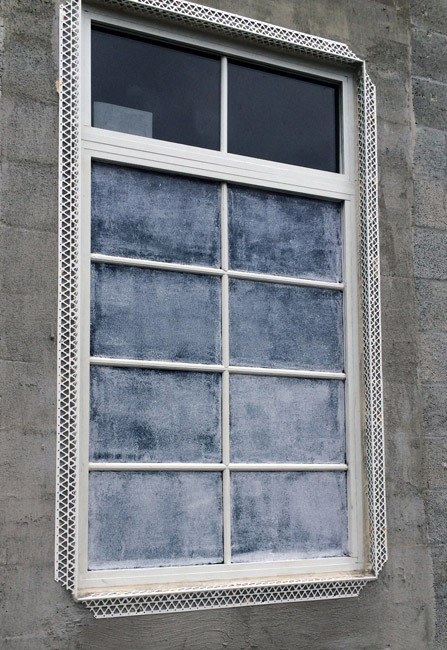 Windows are only covered during masonry and painting phases, leaving glass exposed and vulnerable for extended periods of time. Current protection methods are short term and the adhesive residue is problematic to remove. 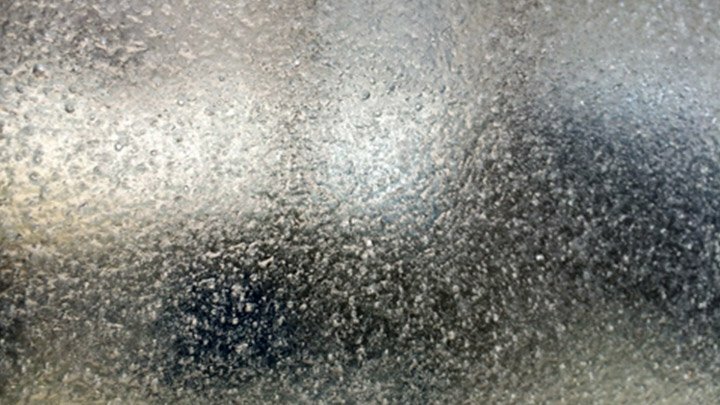 If moisture becomes trapped between the film and glass, it can stain the surface requiring extensive polishing or possible replacement. Contractors have no way to determine when any damage occurs or who caused it, assuming the responsibility and financial burden for the repairs. Window Guard provides long term glass protection during the construction process. Window Guard is a UV stable, breathable, water based elasto-polymer coating that is applied via airless sprayer and roller. It’s designed to cover and protect all types of glass, plastic, metal (anodized, painted and powder coated). The 4 mil thick film dries in 2 hours and is fully cured in 72 hours. Window Guard can remain on for over 12 months without damaging underlying surfaces or finishes. Surfaces are covered and protected once for the length of the construction process eliminating multiple “cover & protect” procedures by subcontractors saving time and money. Another advantage is subcontractors can start their work immediately. Window Guard also reduces the need for periodic cleaning and prevents scratches, hard water spotting, staining and environmental fallout during construction. When the job is complete and the cleanup phase begins, Window Guard is easily peeled off. There’s no adhesive residue or other contaminants to left behind requiring removal. Surfaces require minimal cleaning, reducing construction cleanup time and costs. For more information or a demonstration contact GlassTech.